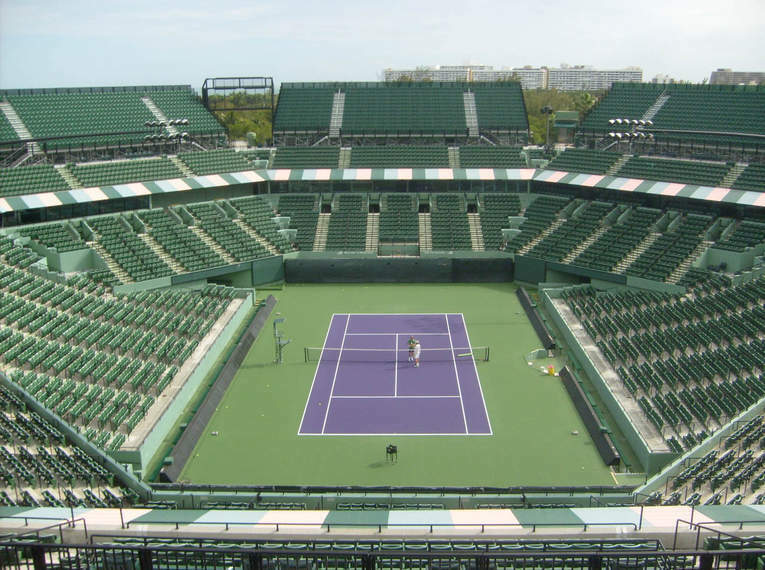 to increase capacity for their annual Sony Ericsson tennis tournament. 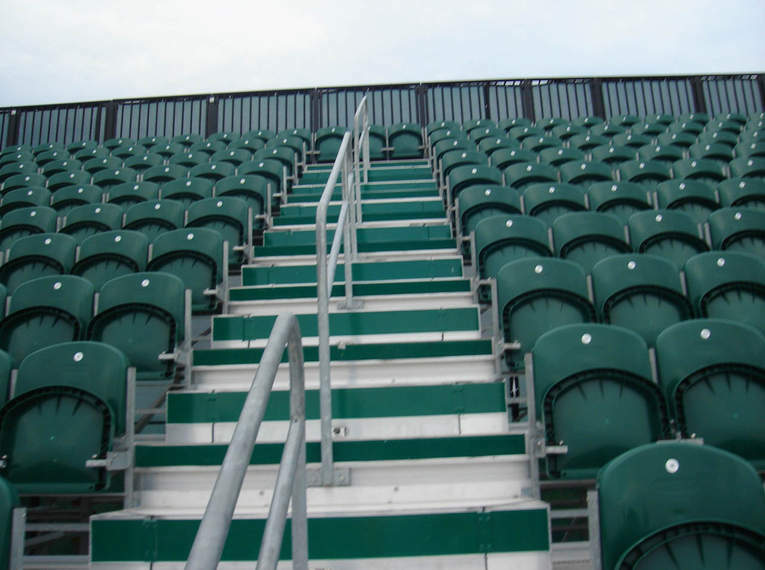 However, to comply with local requirements any additional seating had to be removed after the tournament ended. 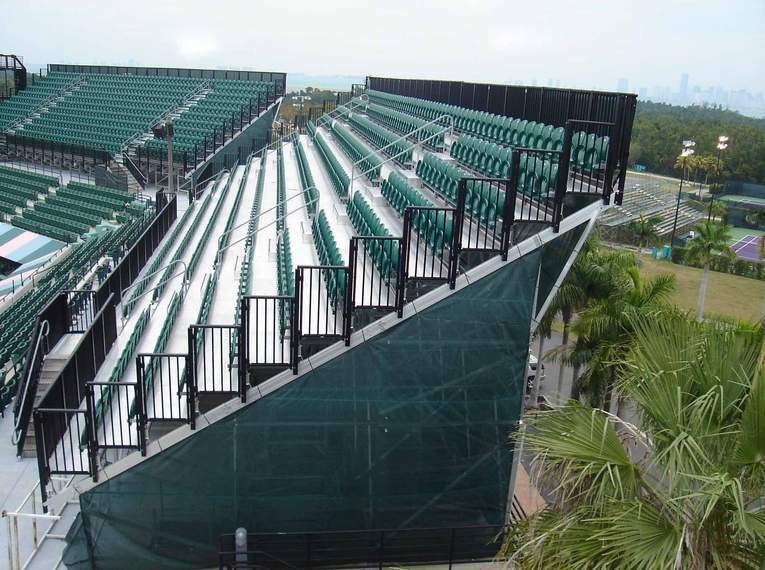 The Ultimate seating system was designed with a 16″ elevation change per row to allow for a better sightline to the court. 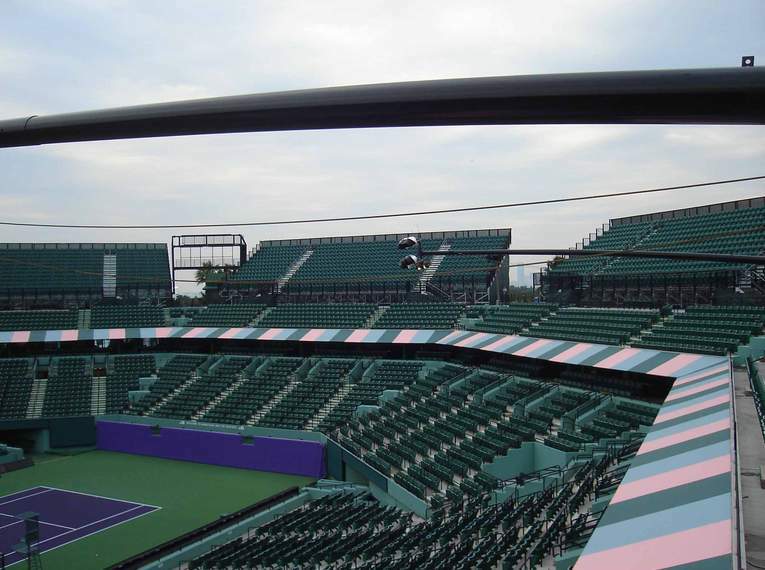 The 6,500 additional seats are installed in a 6 day period with just an eight man Seating Solutions installation crew. 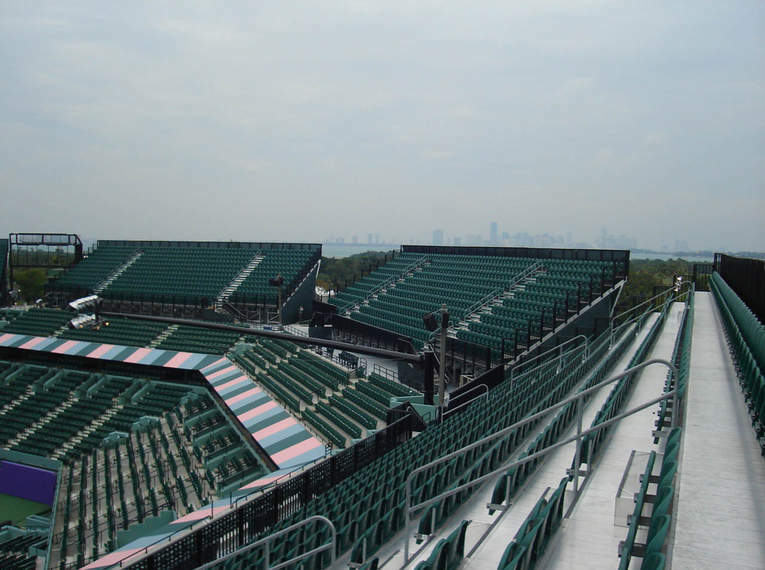 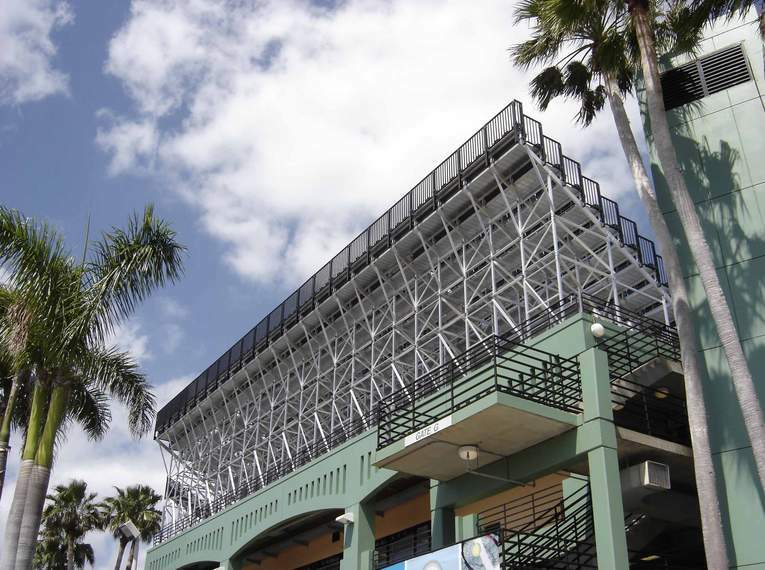 Immediately following the event, the system is broken down and the seating is brought down to the lower levels of the stadium for storage.